← Flash Fiction or Prose Poem? 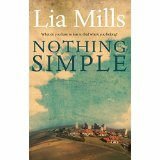 Several months ago, I decided to publish my second novel, Nothing Simple, as an ebook. Why? The first and most obvious reason was that the novel was out of print and the rights had reverted to me. There was a stronger reason. When I wrote the novel (2002-2005), Ireland was booming. We had net inward migration, people were speaking out of the sides of their mouths about furriners coming in looking for Irish jobs. Some of these furriners were economic migrants. Shock! Horror! This all left me scratching my head. When I was growing up, every family in the country had someone living and working abroad, legally or otherwise. I’d done it myself: lived in London for two years and in America for ten. Was the nation in the grip of collective amnesia? Writing Nothing Simple was fun. I played with inverting some of the things that were being said in Ireland at the time, directing them at a fictional Irish couple who emigrate to America in the early 80s. My family and I had lived that experience, so I knew what I was writing about – although I hasten to add that the novel is fiction. The places and the atmosphere are real, but the characters and what they get up to are another matter. The novel was shortlisted for the Novel of the Year award, but it went out of print. In time the rights reverted to me. And along came the next wave of emigration, making it relevant all over again, to a new generation. So: why NOT make it an ebook and give it a second chance? What if, having been back in Ireland too long, I edited the tones and atmosphere of Texas (where most of the novel is set) out of it? Certain unflattering reviews niggled – what if they were right? The title. This has always been an issue. It’s not a good title, no one can ever remember it. But if I changed it, would that give the misleading impression that it’s a new novel? I didn’t want to cheat anyone. Because the novel was published in the traditional way first time around, it has already been curated. I can live with that. I’d strenuously advise everyone to find a copy-editor you trust and enjoy working with. And before you go to them, develop some editing skills for yourself. 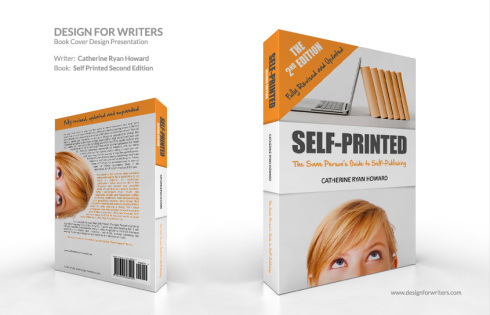 I’d recommend Self-Editing for Fiction Writers: How to Edit Yourself Into Print by Renni Browne & Dave King – Actually, I’d recommend that book for all writers, my copy is never far from my keyboard. The eBook Partnership handle admin for you: money, distribution and so on. They can take you through the entire process – or just the bits you want help with. They were very helpful, and they’ll talk to you on the phone if, like me, you’re a bit of a wreck when it comes to technicalities. See their website for services, prices etc. This entry was posted in Publishing and tagged Catherine Ryan Howard, Chris Hamilton-Emery, Dave King, ebooks, Elizabeth Rose Murray, Emigration, Nothing Simple, Renni Brown, Robert Doran, Self-Editing for Fiction Writers, self-publishing, The Cover Factory, the eBook Partnership. Bookmark the permalink. Great stuff, Lia. Love the cover, love that you went to Texas. Good luck with it. Thanks – and am I dreaming or did you go on a field trip of your own, to Amherst for Miss Emily?? Do you have a publication date yet? I can’t wait to read it. Lia, Thanks for this. Anybody who doesn’t thank you on the blog or personally should be spanked! Tremendously useful.